When Stanier joined the LMS in 1932, as their CME, he was expected to breathe new life into this ailing giant. Since its formation it had steadily lost ground to its main rival, the LNER. In Doncaster, Nigel Gresley and his team, with an eye to advancing locomotive design at the same time as making the company commercially successful, had quickly begun producing a series of high performance and iconic Pacific engines to pull their high profile express trains. Their impact left the LMS trailing in their wake. Under previous CMEs, the LMS had concentrated on 4-6-0 designs to pull their express services, but many felt they lacked sufficient power and had little to offer in performance or glamour when compared to their rivals. Stanier, heavily influenced by his mentor, George Churchward, his work on the GWR and the potential of the Pacific design, saw such a class as essential to the success of the LMS. And so the Princess Royal Class came into being, against a background of some opposition and cultural differences. Despite this, they proved their worth and became popular with their crew and managers. 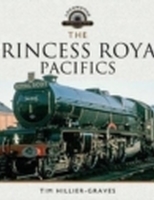 Within a few short years, however, their premier position in the company had been taken by a very worthy successor, the Princess Coronation Class.